The section between the ferrule & the handle should not be in water at any time as the glue is applied right there to seal the handle. Only the toe section, i.e. the bristles should be cleaned at all times. 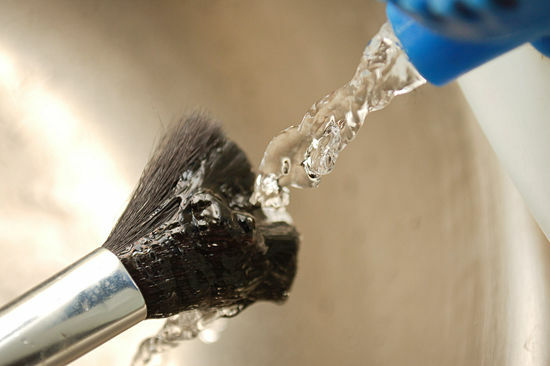 STEP 1: Start by running your brushes under warm water. Make sure you point your brushes downwards & don’t allow water to work it’s way up into the ferrule, which is the metal part of your brush where the bristles are fastened in place. If you do get water up there, it could ruin the glue that holds the bristles in place, & make the bristles & handle fall apart. 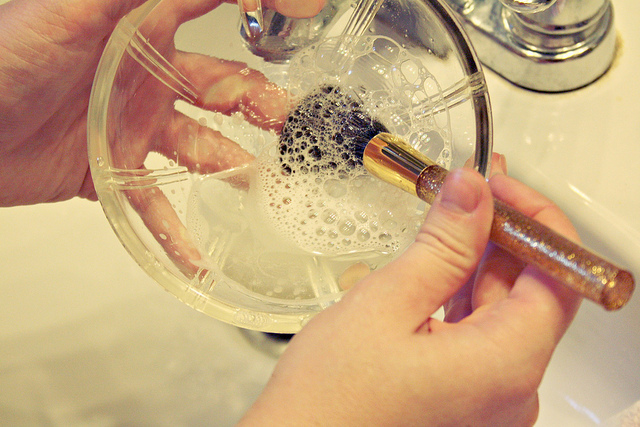 STEP 3: Rinse the soap out of your brushes completely. Remember that after you’ve used your brushes a couple times, they probably won’t go back to the same beautiful color they were when they were brand new, but you can get them pretty close. 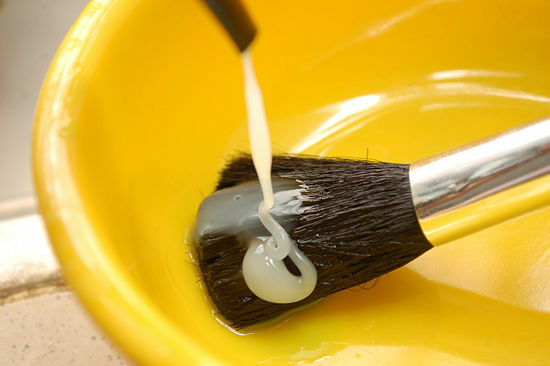 STEP 4: If your foundation or some other stubborn makeup just won’t come out of your brush, it’s time to bring out the oil. 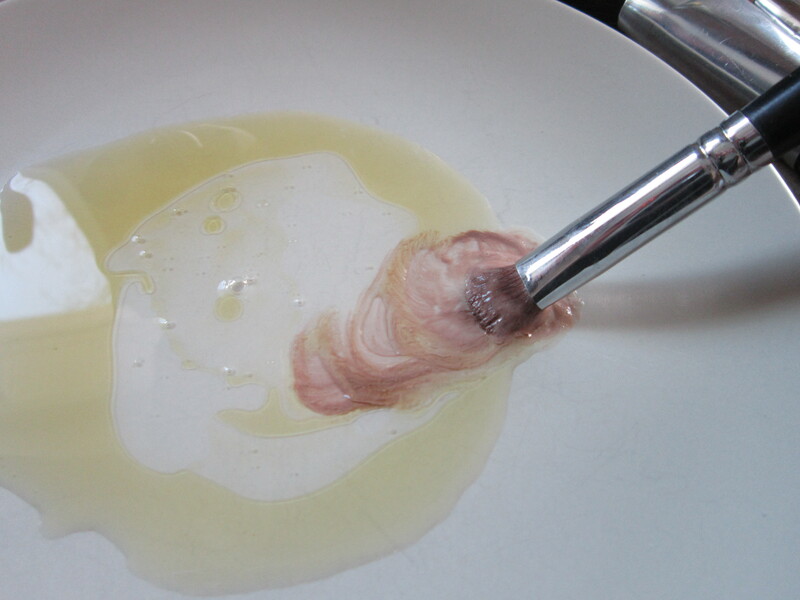 Put a very small amount in the same dish & work it gently into your brush as you did your shampoo. This should help the makeup melt out, quite literally! A little squeezing & another shampooing up should get your brushes nice & clean. The oil can be difficult to get out completely but definitely not impossible. STEP 5: Drying your brushes properly is very important. Gently squeeze out excess water with a paper towel or tissues & then dry them at the edge of a table where the bristles are hanging out of the table & the handle is at rest on the table. This way the water will come out of the brush, instead of running down into the ferrule! Ideally, you should wash your brushes after every use – of course this is pretty impossible for most people, so once a week is the goal. Dirty brushes can cause breakouts, infections & all kinds of unfortunate things that could otherwise be easily prevented! Dirty brushes can also manipulate your makeup application, because products won’t go on as smoothly as they would with a clean brush. 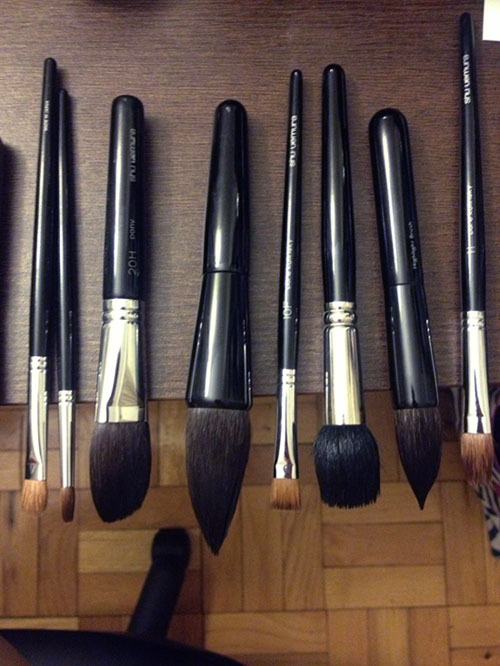 The more often you wash your brushes, the longer your brushes will last!